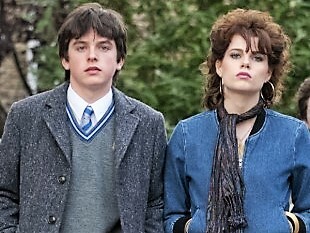 Synopsis: Set in Dublin in 1985, Conor is told by his father that he'll need to transfer to a state school. Their troubled family is struggling financially. 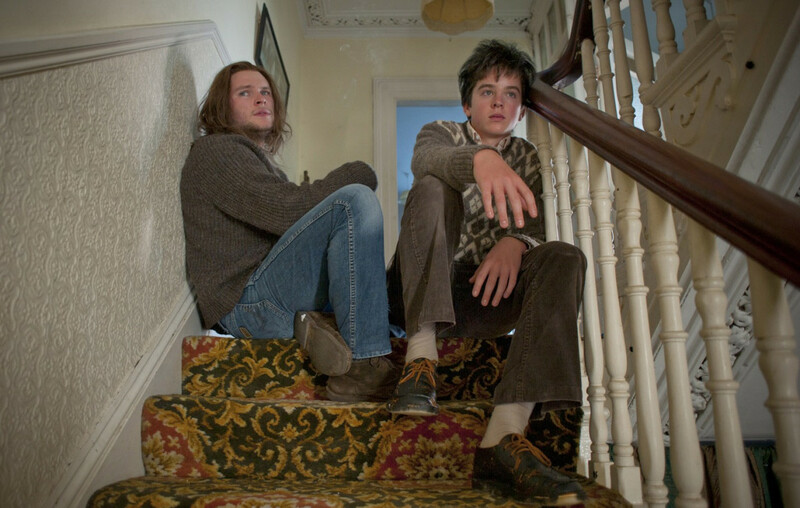 Conor becomes friends with schoolmates willing to form a boy band, then fatefully meets his new love interest, Raphina, who lives in a Home for Girls. She aspires to be a model in London. Through in-house counseling from his older brother, Conor takes bold steps to create his own techno-pop music with the band and win Raphina's heart. Welcome to "Conscious Movie Reviews," I'm your host Joy Davis and here to review the romantic drama,"Sing Street." Raised in the south inner-city of Dublin in 1985, Conor wasn't thrilled about having to transfer from an expensive, fee-paying school to a free state-school called Synge Street CBS. His parents were struggling to make ends meet from reduced hours and pay. What made matters worst was the marital drama from fighting with each other a lot. Brendan, the older brother, was a stoner and college drop-out. He took a cynical view of the chaos at home that Conor only tolerated. Typical of Generation Xers who were born roughly between early 1960's - early 1980's, many had unprotected childhoods from an absent father or family divorce. Both of the parents usually worked, leaving behind unsupervised latchkey kids who adapted to become autonomous and resourceful as a consequence of their unstable family life. Their forced independence gave them freedom without responsibility. The archetype of the "Loner" emerged in the 80's that described disenfranchised, young men like Brendan. They are characteristically cynical with a casual disdain for authority towards their parents and even large institutions. As the new kid at Synge Street CBS, Conor attracted the unwanted attentions of the school's ultra-strict principal, Mr. Baxter. After two strikes against him for not observing the Black Shoe policy, he was forced to go shoeless. Conor's only defense was that his parents just couldn't afford to get him new, black shoes. Based on the studies by Myers-Briggs on personality types, Principal Baxter is very likely an ESTJ, which stands for being an Extrovert, Sensory, Thinking, Judging kind of fellow. They have a reputation for being inflexible, rigid and overly detail-oriented. Sometimes they apply reason to situations that really requires sensitivity. On the positive end, these personalities are model citizens with a take charge attitude. 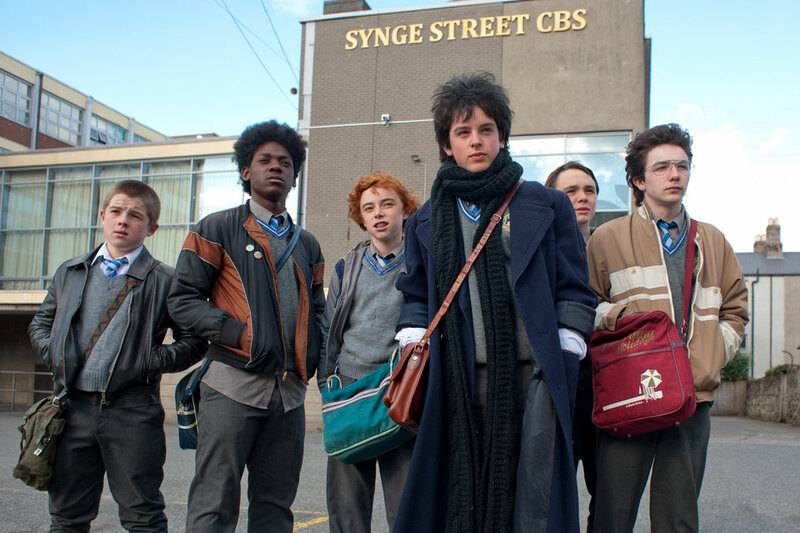 With the help of his new friends, Conor formed a boy band called Sing Street to play 1980's cover songs. He really wanted to impress Raphina, an aspiring model living in a Home for Girls. She dreamed of leaving Dublin for a better life in London. When Conor took the advice from his older brother to ditch the cover songs and compose his own, the techno, pop songs were inspired by his crazy love for Raphina. 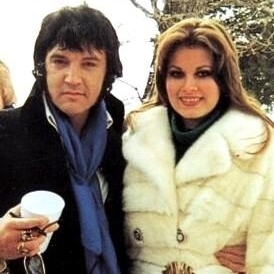 He even invited her to model in the band's music videos and create a signature look for them. It is usually the Muse who can arouse the artist to energetically move their creative energies from the first chakra around the sexual organs, outwardly. Conor's boy band had a sound and look called New Romanticism that originated from the nightclubs in London. New Romantics were making an anti-punk statement with their synthesized dance music made popular by Duran Duran, Adam Ant, and a Flock of Seagulls. It was their gender-bending, flamboyant and colorful clothing style, reminiscent of historical periods, that earned them the "Posers" nickname. Under the influence of Madonna and the rise of high-earning supermodels of the 80's, teenage girls like Raphina learned to express a new kind of feminism that was aggressively sexual. It was trendy to base your entire self-worth on being the object of male desire. Conor's love interest in Raphina was complicated by her having a boyfriend and leaving soon for London. This didn't stop him from taking her on an outing to Dalkey Island in his grandparent's motor cruiser for a picnic. It was their first time kissing. While his romance blossomed, his parents' marriage was failing. There is a common myth that a happy childhood is a prerequisite to a great relationship. Both Conor and Raphina had troubled home lives. According to Linda and Charlie Bloom, founders of Bloomwork that helps couples worldwide, they firmly believe that the past does not dictate the future. Factors that contribute to a successful adult relationship have more to do with our capacity to learn and become more emotionally mature. This would require detaching from unhealthy behavioral patterns and a commitment to heal the places in our inner lives that are in need of acceptance and forgiveness. When Conor planned for a music video shoot that required a prom scene with Raphina in it, she never showed up, leaving him distraught. Raphina left suddenly for London, only to head straight back to Ireland after being ditched by her abusive boyfriend and rejected by a modeling agency. She cursed herself for turning out exactly like her manic-depressive Mum. When she turned on Conor with her arrogant attitude, he quickly rejected her, causing their breakup. Conor's older brother urged him to continue as a budding music artist and perform at the school's end of the year party, even though he's hurting inside. Brendan admitted to having his own musical dreams deferred to live in quiet desperation at home. He thought it was unfair that Conor got to pursue his ambitions easily, compared to him. Based on the psychology of birth order, it is not typical of the first born to pave the way for a younger sibling, just as a mentor, and not by example. The youngest in the family don't typically take risks; it's usually the eldest. Their bold successes or failures are what the younger siblings learn from. Conor was doing it authentically, giving inspiration to Brendan to live his own life. This was a complete reversal of birth order tendencies. At the concert, Raphina showed up to hear the band's last song. Conor made up with her. In their pursuit of happiness, they spontaneously headed out to sea that evening in the motor cruise for their new life together in London to the sheer delight of Brendan for their boldness.